South Africa’s vast, beautiful and silent open spaces – many of them remote and sparsely inhabited – lend themselves to spiritual retreats and spells of quiet introspection. The country has numerous sanctuaries for mind and spirit, protecting spaces where the soul can find its points of gravity and its sources of upliftment. Travellers to South Africa will find spiritual retreats and tours that will take them to breathtaking locations far away in the countryside or wilderness, or in special little towns. These places are balm for the soul and fuel for the spirit, and well worth visiting. The wilderness is always an invitation to slow down, self-connect and renew our perspective of our relative place in the great and miraculous natural world. 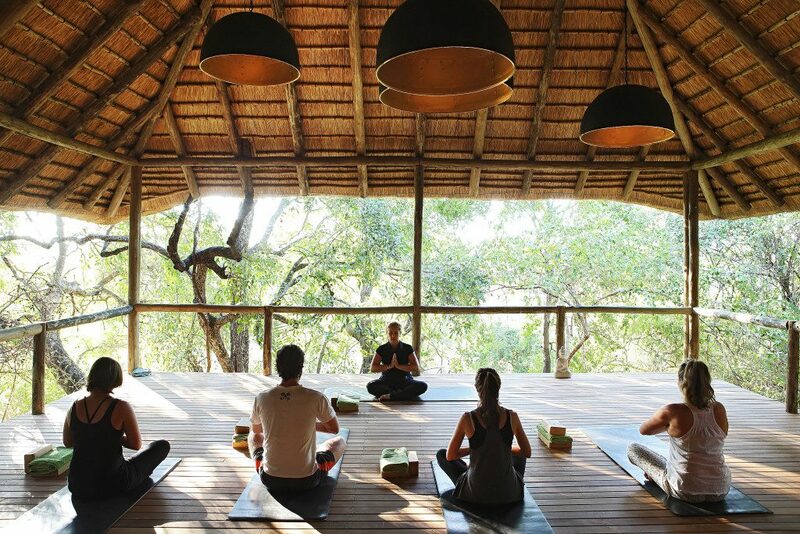 One magnificent wilderness option, where safari activities can be combined with daily guided yoga and meditation, is Londolozi Private Game Reserve, providing ultra-luxurious safari accommodation and wilderness experiences in the Sabi Sand Game Reserve of Mpumalanga province. Londolozi has a dedicated yoga teacher who teaches Sivananda Hatha yoga, Ana Forrest yoga and Kundalini yoga. There is no better environment than Londolozi for coming back to yourself. It’s a vast and wilderness where Africa’s great animals roam free, revered by the people of Londolozi and never forgotten by those who have the privilege of visiting. Mail us. Unlike sublime Londolozi, dedicated retreat centres in South Africa have more modest accommodation offerings, but are generous ‘holders of space’ for spiritual refuge in exquisite settings. Hidden away at the top of a beautiful valley with views of rolling hills and forests, the Buddhist Retreat Centre at Ixopo in KwaZulu-Natal is a wonderful place for a self-retreat, or participation in one of many scheduled retreats, ranging from Buddhist teachings and meditation courses to writing, Tai Chi and yoga retreats. Mindful living courses are offered too, some in relation to living with anxiety and trauma. The property is a wonderworld of natural pathways and beauty in all directions. Another very beautifully located retreat centre in KwaZulu-Natal is Dharmagiri Insight Meditation Centre, situated in Underberg, a very scenic area of the Drakensberg. 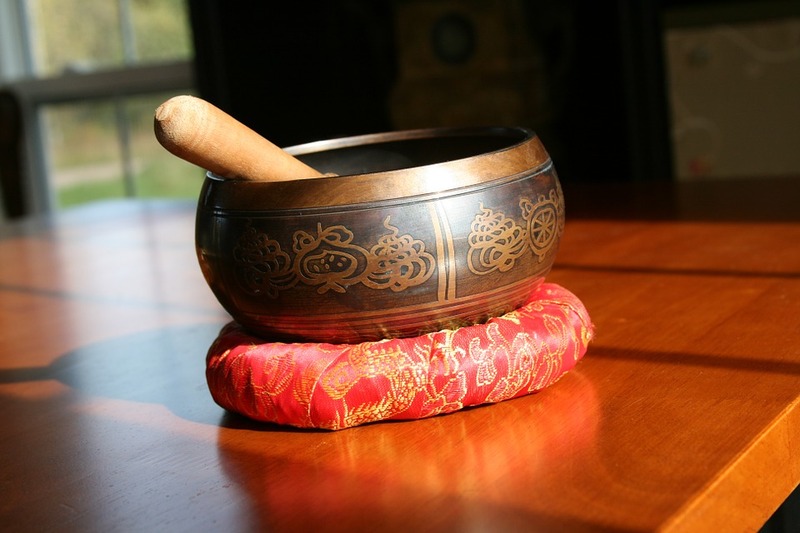 The centre offers mindfulness training to locals and visitors, in the form of silent meditation retreats and workshops. The quaint town of McGregor is situated in the countryside of the Western Cape and is home to the popular Temenos retreat centre. Attractive accommodation is provided in 14 cottages, all en-suite with private patio and fireplace. 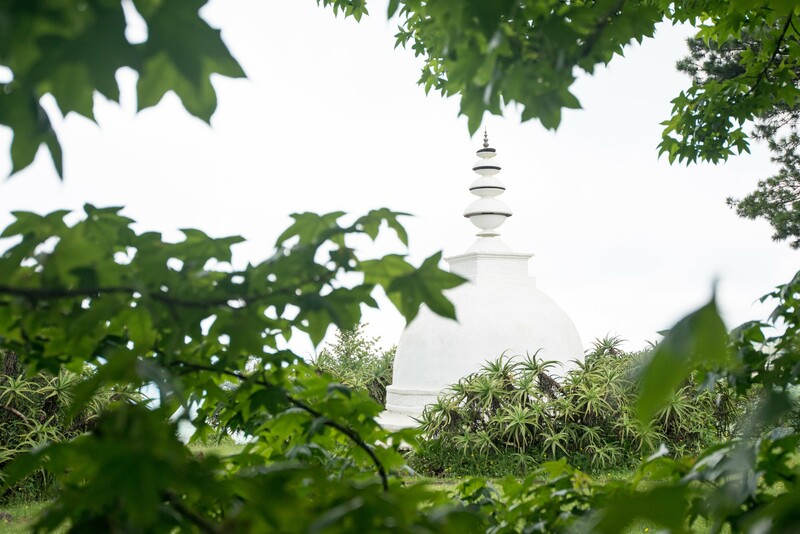 The pretty gardens and shrine-spaces at Temenos offer serene spaces for quiet contemplation, and there are daily meditation and yoga sessions during the week. A variety of scheduled workshops take place at Temenos, dealing with health of mind and body, creativity, spirituality, mindful walking, and more. There are wonderfully scenic walks not from the retreat centre. 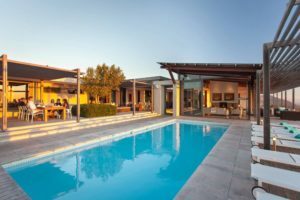 In pretty Robertson, not far from McGregor, there’s a Dharma Centre that offers periodic half-day and several-day Zen retreats. 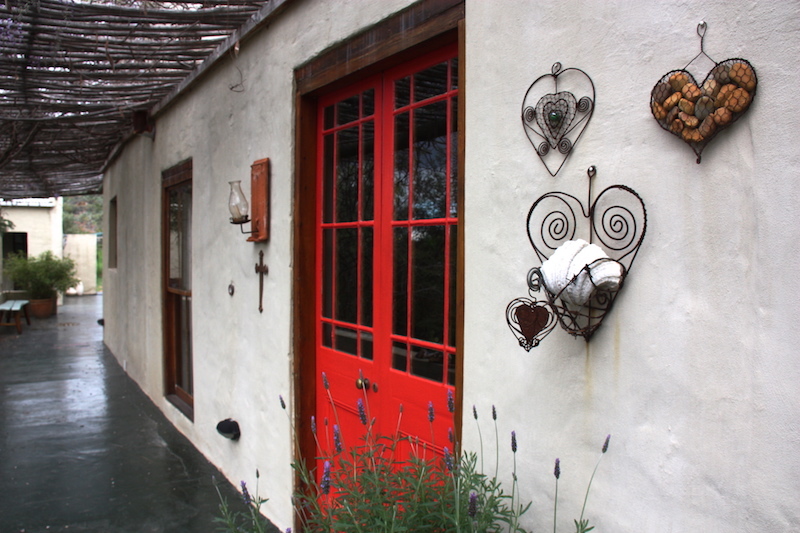 Another appealing retreat option in the Western Cape is Bodhi Kaya in the Overberg region, fairly close to Hermanus and Stanford. 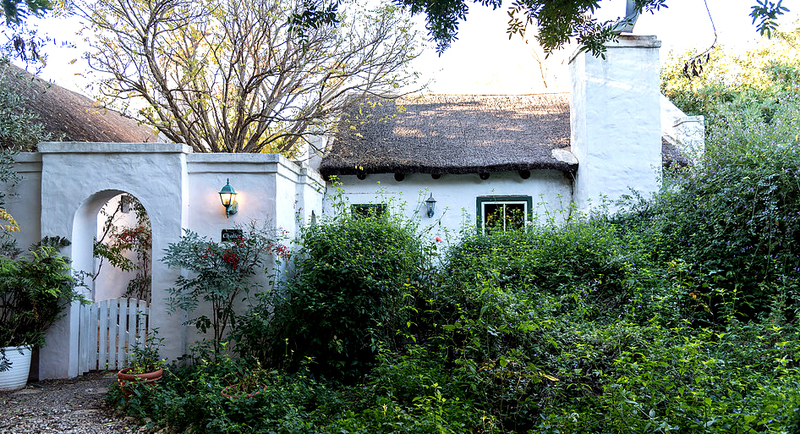 Enshrined by mountains, the property is graced by forests and fynbos, with sustainable practices in place there. It is a beautiful space in which to attend a scheduled, catered retreat (vegetarian) or to have a timeout experience of your own making. The Karoo is a vast and ancient hinterland area in South Africa, characterized by its great open spaces that endow it with the quality of a sacred, mysterious space. The ‘entrance’ to this area is called the Little Karoo, and in its quaint country town of Barrydale lies Little Samadhi. 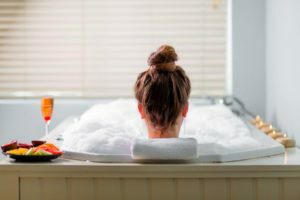 It’s a small bed and breakfast retreat, serving organic food and offering yoga and meditation classes, Kahuna massage and specialized retreats from time to time. Majestically set in the foothills of the Cederberg Mountains in the Western Cape, Bushmans Kloof Wilderness Reserve and Retreat is a luxurious, five-star holiday destination that offers periodic wellness retreats. It’s a special place for downtime, finding solitude in your own way in a vast and strikingly beautiful African landscape, and benefiting from the body therapies offered at the spa. Mail us. 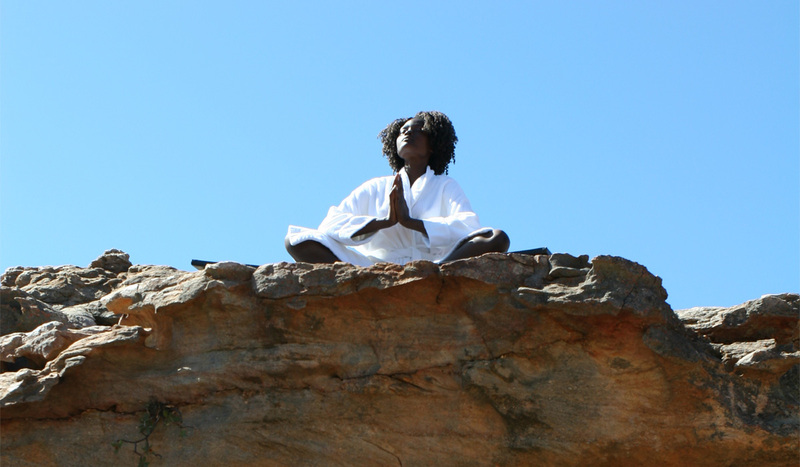 From time to time Bushmans Kloof offers yoga retreats in the Cederberg wilderness. In Cape Town, Table Mountain is well known for its aerial cableway that takes visitors to the summit of a remarkable flat-topped mountain that lords it over the city. What is less well known is that Table Mountain shelters a number of sacred sites, and these can be explored with guides who know them. More Info. Cape Town also offers the Cape Camino, a walking pilgrimage around the extraordinary Cape Peninsula featuring numerous sacred and interesting spaces. Mail us to book your holiday in South Africa, or call +27 21 797-7122 (international) or 0860 102 907 (local).